The ZTE Tempo Go might look familiar to some, and this happens for a good reason: this Android Go handset is nothing more than a ZTE Tempo X with a new name and Google's highly optimized Android Oreo variant. The specs are exactly what one could expect for the sub-US$80 price tag: Qualcomm Snapdragon 210, 1 GB RAM, 8 GB storage, 5-inch display with 480 x 854 pixels, as well as a 5 MP main camera with LED flash. Now that Android Go is around, I hope to see a ROM ready to bring back to life my old ZTE Open C that runs the latest Firefox OS nightly build I could get my hands on and does a great job as a kitchen timer/alarm clock. 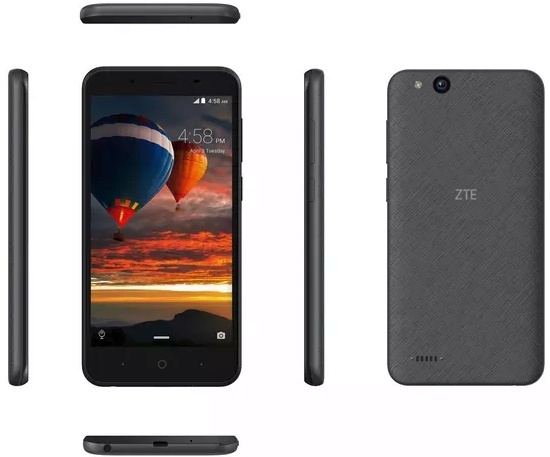 The interesting part is that ZTE also thinks that reviving older devices is a great idea, since their first Android Go handset is a rebranded budget phone that arrived last year as the ZTE Tempo X. The "new" ZTE Tempo Go has the same technical specs as the ZTE Tempo X, only that it runs Android Oreo Go edition instead of Android Nougat. This is a quick roundup of these (absolutely pathetic) specs: Qualcomm Snapdragon 210 processor, 1 GB RAM, 8 GB internal storage, microSD support (thankfully), 2 MP front camera, 5 MP back camera, 5-inch IPS LCD with 480 x 854 pixels, micro USB 2.0, all powered by a 2,200 mAh battery. The best part of it all? The interesting texture on the back case, of course. The official product page linked in the press release is not up yet, but we don't expect for any surprises to surface once it becomes available. The ZTE Tempo Go will be soon available for purchase online at a price of just US$79.99 unlocked. The Android Go initiative looks promising since the Nokia 1 and the Alcatel 1X definitely look good as cheap backup phones. To be honest, even the recycled ZTE Tempo X/Go seems a decent phone for those on a very low budget. Remains to see if this platform hits the jackpot or follows the likes of Firefox OS, webOS, or Symbian.